The observance of the occasion of Children's Day was carried out on the 14th November in the VKV, Golaghat campus in a joyous and spirited manner. 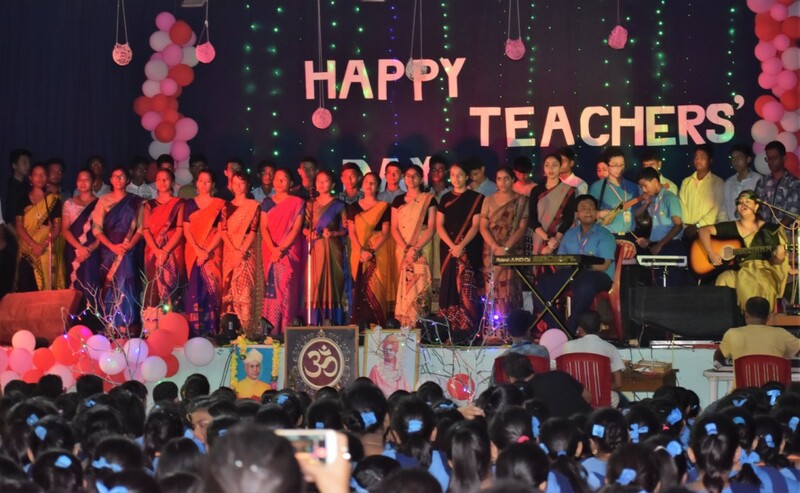 Several activities and programmes formed the core of celebration with active participation from the students as well as the teacher's. 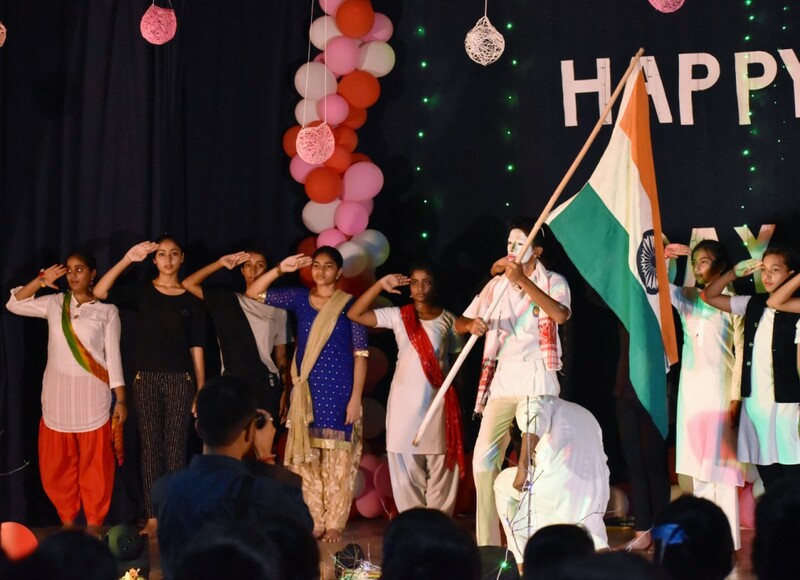 In the presence of our vice principal Dhan Pradhan Sir the celebration started with the students of class IV and V performing a group dance. 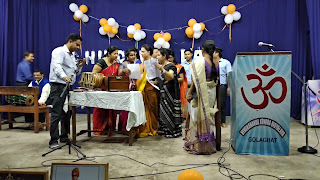 This was then followed by a speech from Nitashree Didi as she laid emphasis on the importance of the occasion. 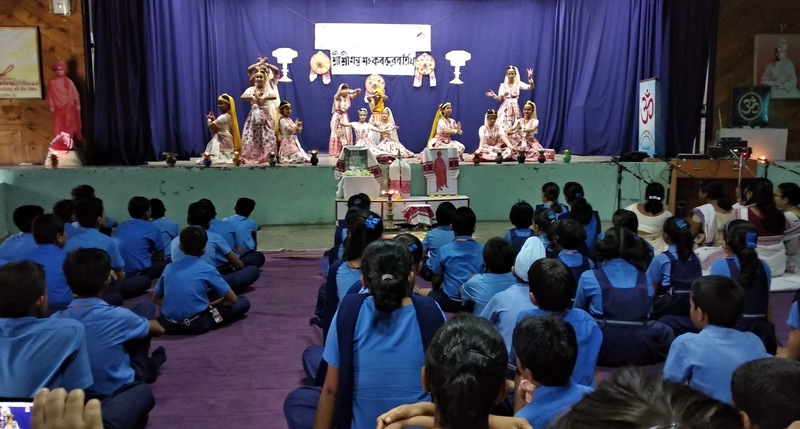 Next was a drama act performed by the students of class III, IV & V. An audio story telling act was then performed by the teacher's and this was followed by a group dance performance by the teacher's as well. 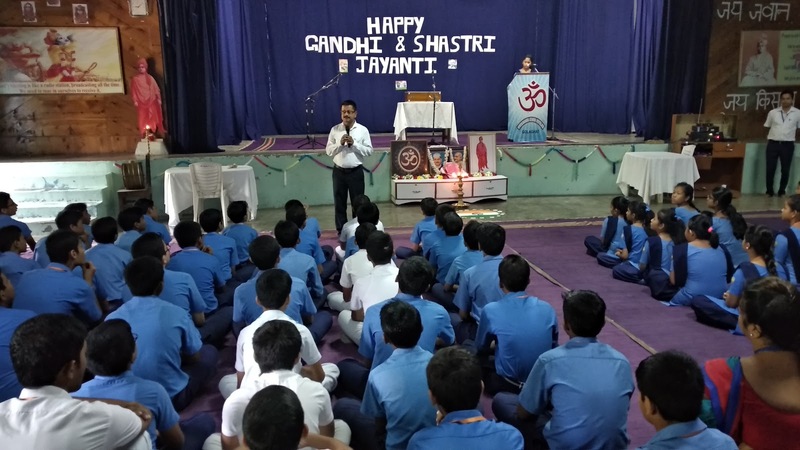 After the observation, a book reading competition and storytelling competition was organised for the secondary students (class VI to IX). 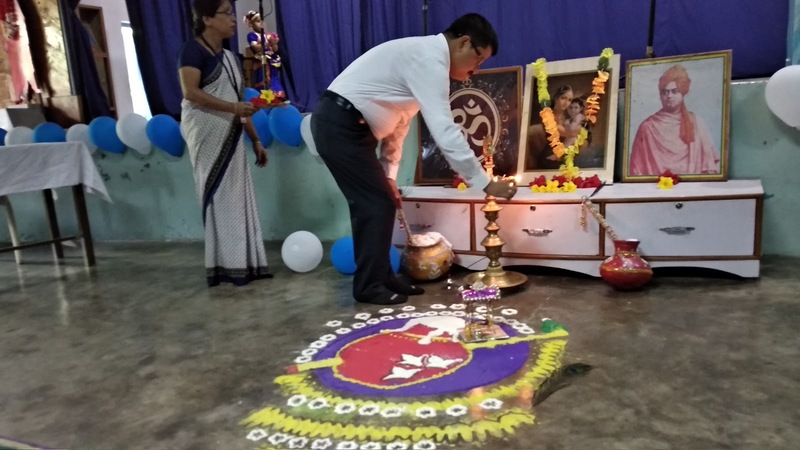 After its completion an animated movie was then showcased for the primary children and the celebration of the momentous occasion concluded with a football match between teachers’ and students of class X & XI. 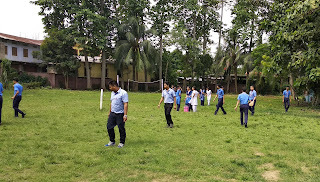 Sports is a very important part of the school curriculum in every student’s life. 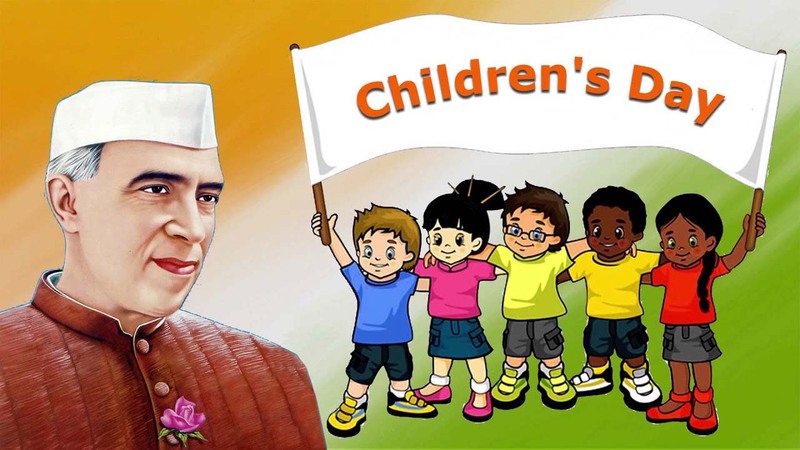 Contribution of sports in the field of one's all round development is of paramount importance. 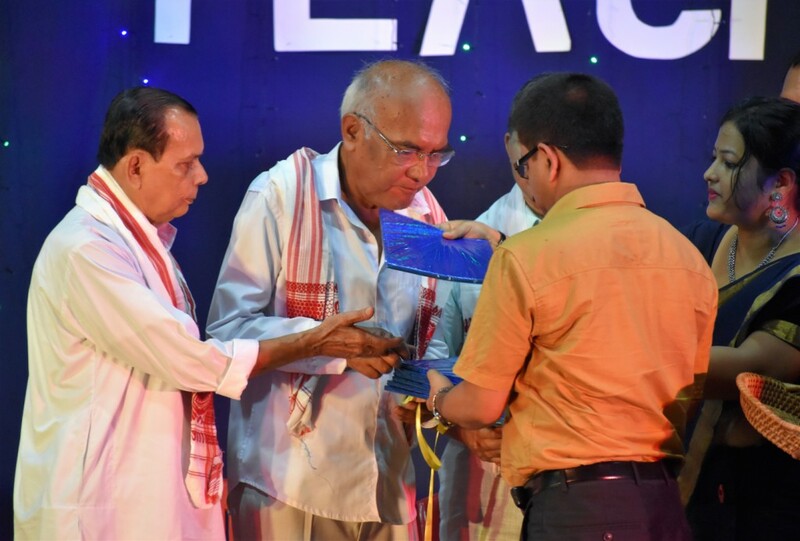 Going by this mantra the VKV Golaghat also encourages and strives for upliftment of its students in the field of sports. Therefore, it is a matter of great pride and honour for the entire VKV Golaghat fraternity to announce that in the recently concluded sports meet (Badminton, Swimming, Athletics& Table Tennis) the students have shone with flying colours. In the Athletics cluster meet held at South Point School, Barsapara, Gauhati from 20/9/18 to 23/9/18, Subhangana Gogoi(class 11) got 1st prize in 200m and 400m running event in the U17 category and was also adjudged the best athlete. 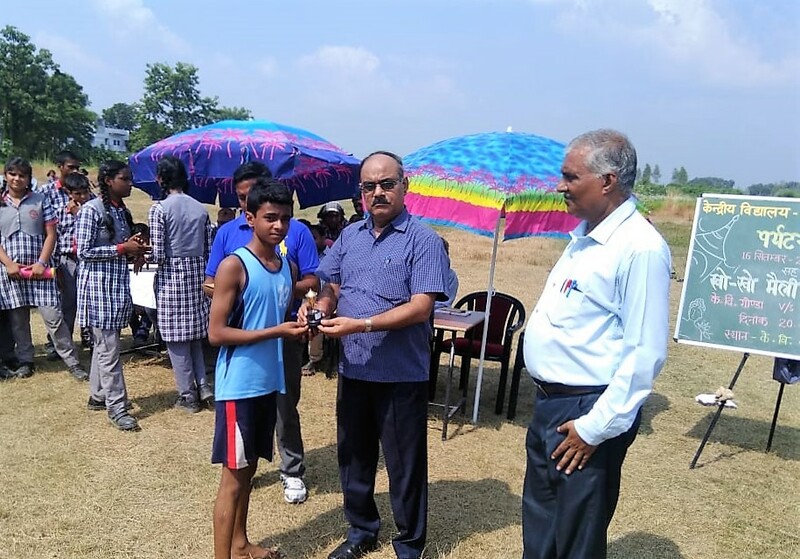 In the U17 category Nandini Chandak (class9) got 1st and 2nd prize respectively in 1500m and 800m event, Deepjyoti Bora(class 11) got 1st prize in the 200m event and Hritom Kashyap got 2nd prize in the 100m event. 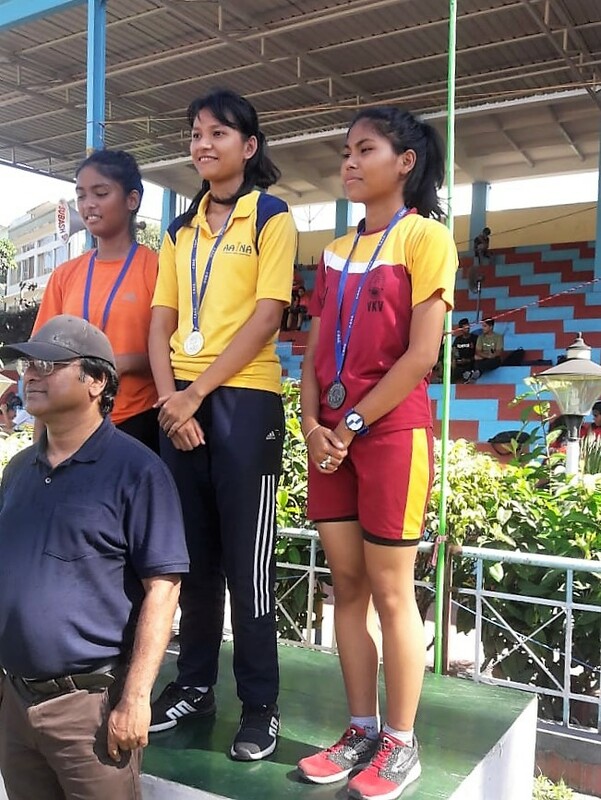 In the U14 category Kanandeep Kaur(class 7) got 2nd prize in the 100m event. In the Table Tennis cluster meet held at DPS Nazira from 28/9/18 to 30/9/18 Mrinmoy Dutta(class8), Rayan Ahmed(class8) and Kumar Arnab(class7) got 3rd prize respectively. 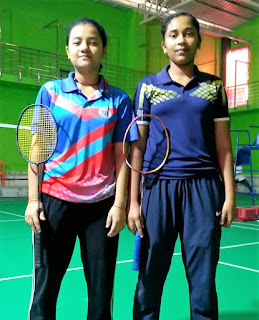 In the Badminton category( For east zone) held at B.R.V Model School, Budaun, U.P from 2/10/18 to 6/10/18, Taniya Bordoloi (class9) and Deena Sabri(class8) won the first prize in U17 team event. In the Swimming category(For east zone) held at the same venue from 18/10/18 to 21/10/18, Essahan Bir Gogoi(class 8) got 2nd prize in the 100m and 50m breaststroke and 3rd prize in the freestyle and relay events. 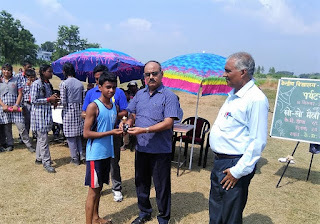 Adwik Hazarika (class5) got 1st prize in the 100mfreestyle and 50m breaststroke events and 2nd prize in the 200m in the IMR event. 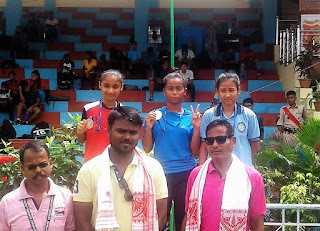 Furthermore, Toushif Rahman(class5), Anshumali Phukan (class8) and Anamitra Phukan(class 11) got 2nd prize, 2nd prize and 3rd prize respectively in the 50m freestyle, 200m freestyle and 50m backstroke events. Also in the U14 category the boy’s team got 3rd prize in the 4×100m medley relay event. 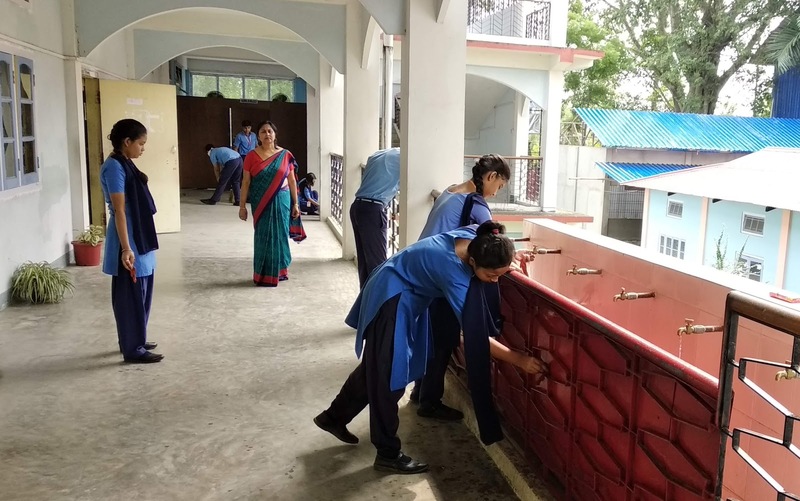 The VKV, Golaghat fraternity is immensely proud in this regards and wishes the well being of the students for their future endeavours. 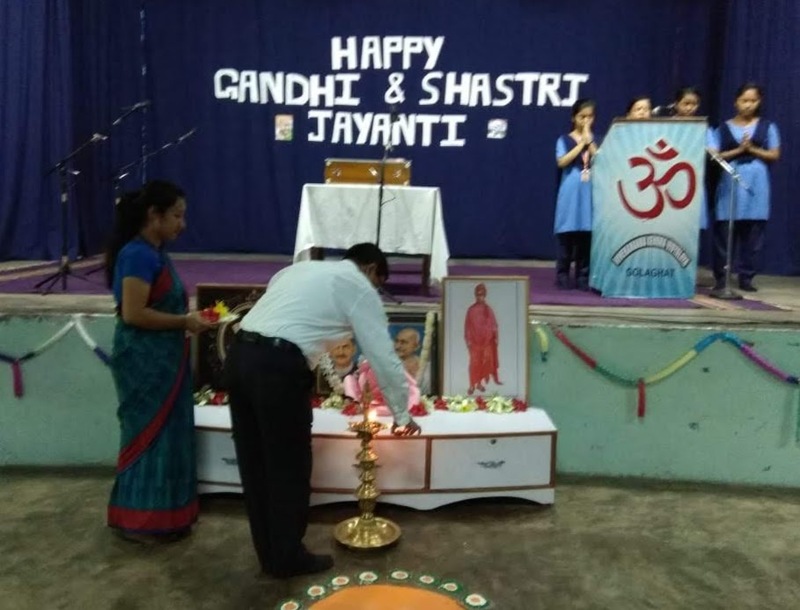 The celebration of 'Gandhi Jayanti' and 'Shastri Jayanti' was carried out in the VKV Golaghat campus with profound joy and vigour. 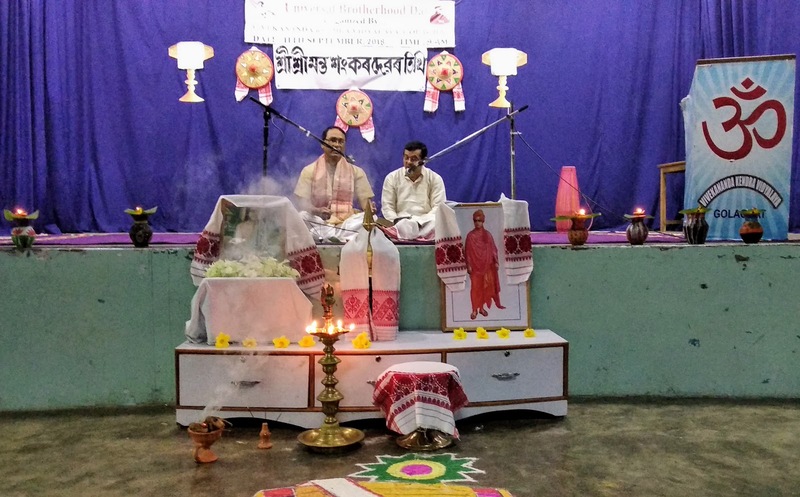 Going by the significance of the occasion, several initiatives, competitions and cultural programmes were conducted. 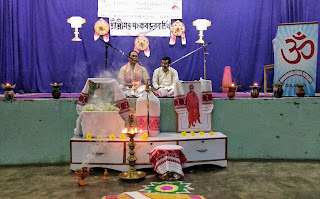 The commencement of the celebration was initiated by Principal Sir and Meghali Didi with Diya Prajwalan and Mangalacharan. This was followed by an arrangement of a cleanliness drive with participation of students from class 6 to class 11 along with the teacher's. 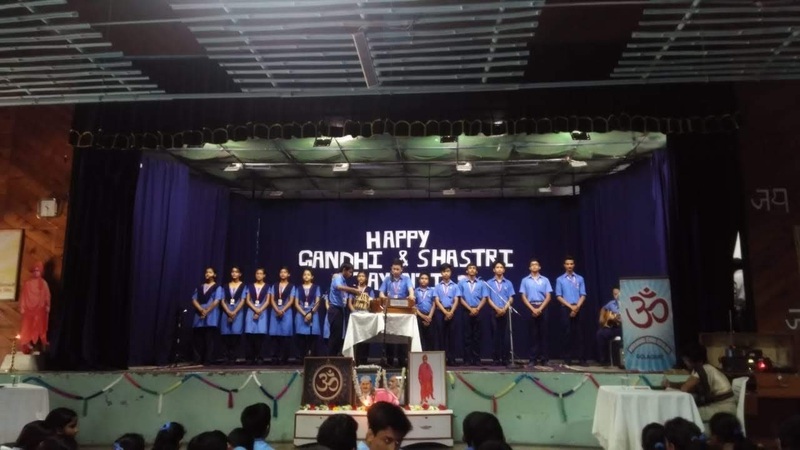 A speech on Gandhiji's events of life was then rendered by Nargis Parbin of class 8 following which an Inter House hindipatriotic song competition was organized and adjudicated by Meghali Didi and Pronami Didi. Concluding this a speech on Shastriji's events of life was furnished by Kangkana Bharadwaj of class 8. After a brief interval an Inter House hindi patriotic song competition was organized and adjudicated by Meghali Didi and Pronami Didi. The celebration then concluded with the chanting of Shanti Mantra. 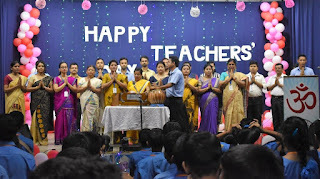 The auspicious occasion of Teacher's Day was conducted in the premises of VKV Golaghat with utmost joy. The programme commenced with the felicitation of former teacher's Padmeswar Gogoi, Sir and Champa Devi alongwith a speech delivered by Padmeswar Sir. 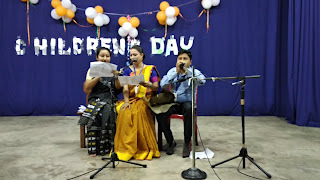 The students of class 10 (anand) brought forth a beautiful Assamese folk song gracing the occasion. Following this the felicitation of teachers and staff was conducted. 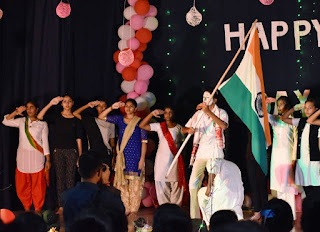 After this followed a semi classical dance performance and Hindi song performance concluding which was a silent skit performance going by the theme 'Unity in Diversity'. Further followed a Garba Dance performance and a slideshow presentation of the teacher's. 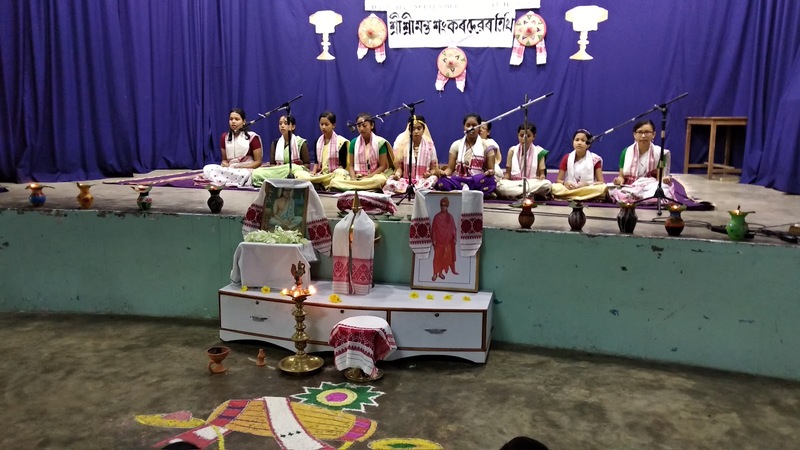 The ceremony concluded with a Bihu Dance performed by the students of class 10. 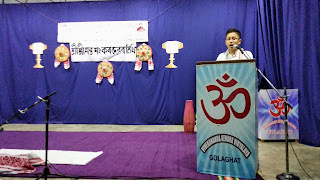 The prize distribution of Ganit Prajna Pariksha, an appreciation programme for the successful talents in the field of the mathematics organized for the students of Class 6, 7 & 8 was conducted in the premises of VKV Golaghat on 4th of August 2018. 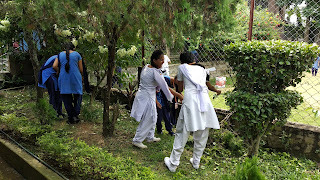 The Chief guests for the occasion were Prakhyat Duarah Sir and Akram Hussain from Salikhat Higher Secondary School. The programme started with a welcome speech by Vice principal, Dhan Pradhan. This was followed by a report presentation on the objective of Ganit Prajna Pariksha by Samhita Chanda. 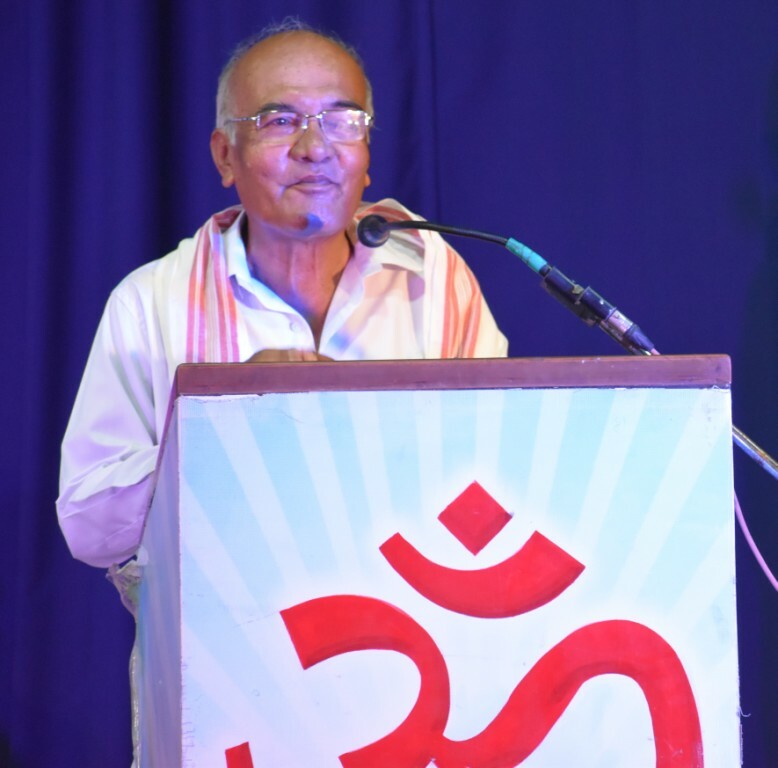 Next was a felicitation to the rank holders of the Ganit Prajna Pariksha. To the utmost delight of VKV Golaghat 4 students from class 6, 1 student from class 7 and 4 students from class 8 got rank in the examination and made the entire school proud. Certificates of consolation were also awarded to 57 students from class 6, 47 students from class 7 and 46 students from class 8. 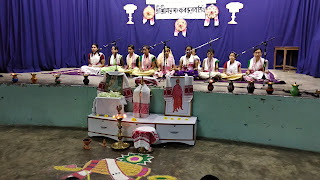 The festival of Janmashtami, widely popular as the day of incarnation of Lord Krishna, was celebrated in the premises of VKV, Golaghat with great vigour and utmost joy. The celebration commenced with the lighting of Dia by our respected Principal Sir. 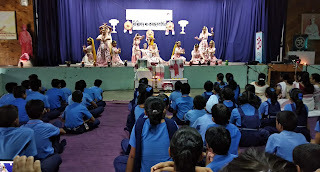 This was followed by a Bharat Natyam Dance performed by two students of Class UKG which was adorable. 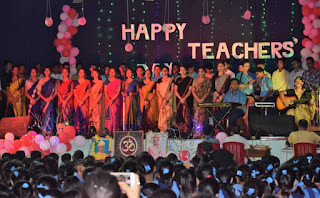 An action song was then performed by the students of class 2 gracing the occasion. 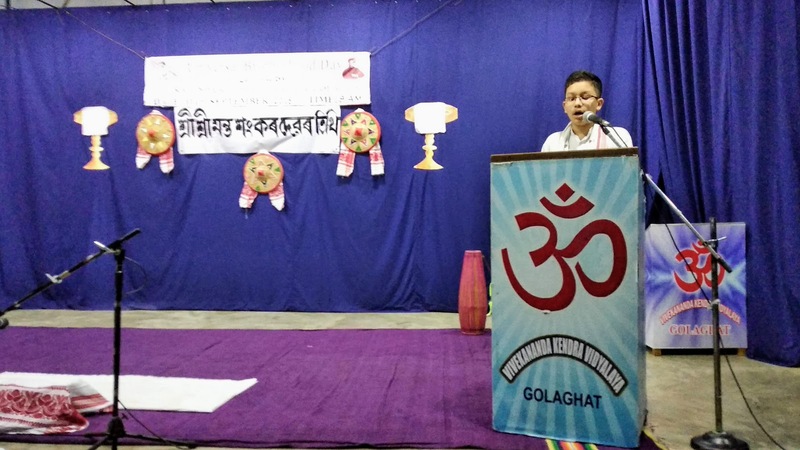 Next was a speech by Sapna Didi regarding the observance of the festival. The students of class 4 & class 5 then performed a group dance and the rendition of the song was done by the singing group of VKV. 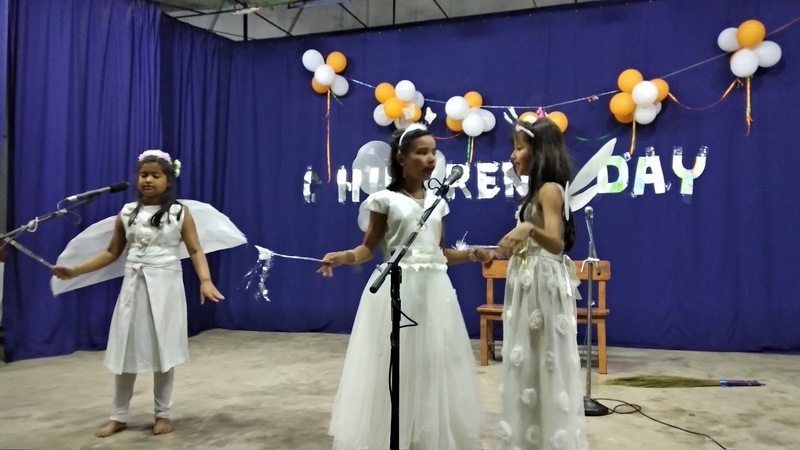 Next followed a drama performance by the students of class 4 which was really commendable. 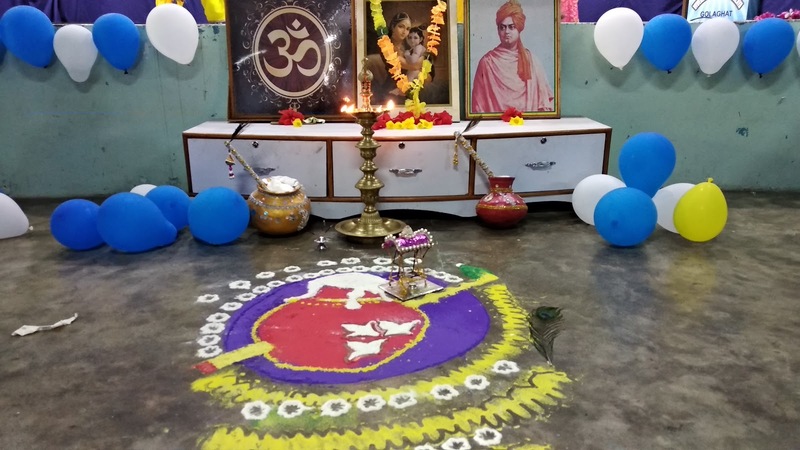 After this was a group dance performed by the students of class 6 & class 7 and the conclusion of the entire ceremony was done after the distribution of Prasad.